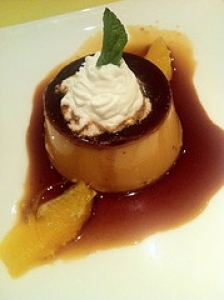 Have you made 9-Point Flan? 1. 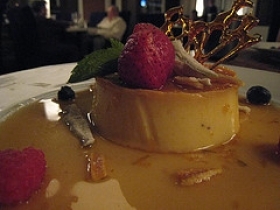 In heavy skillet, slowly heat 3/4 cup sugar until melted and caramel-colored. 2. 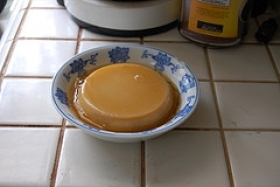 Pour into 5-cup baking dish and carefully swirl to line dish with caramel. 3. Set aside. Beat egg yolks with 1/2 cup sugar. 4. 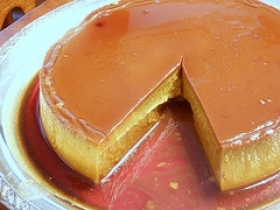 Add evaporated milk and rum to taste and beat well. 5. 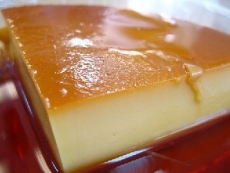 Turn custard into prepared baking dish. Place dish in pan of hot water and bake at 350F about 1 hour, or until knife inserted in center comes out clean. 6. Cool thoroughly at room temperature. Unmold on serving plate.